Catalyst Global seizes the opportunity for change in the UK following the liquidation of the BlueHat Group. It will soon be business as usual for long standing customers who over the past 30 years have come to appreciate Catalyst Global’s comprehensive, well-researched and designed portfolio of team building programs in the United Kingdom. 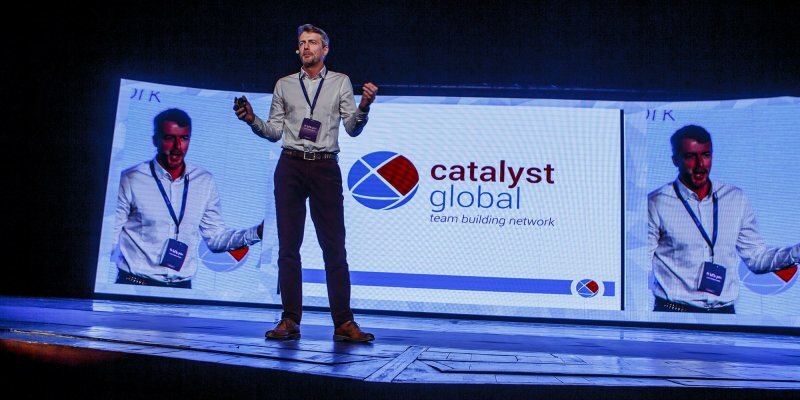 Catalyst Global, the largest team building network in the world has seized the opportunity for change in the UK following the announcement of the liquidation of the BlueHat Group. "We are surprised by the news of the BlueHat Group’s liquidation especially considering that sales of Catalyst Global team building products have been very strong in the UK over the past 5 years. The Catalyst Global network now has over 45 partners worldwide. During their time with us, Bluehat were consistently one of the top 5 performers in the network." Mark Davenport, Head of Business Development at Catalyst Global said. BlueHat Group has been the exclusive distributor of Catalyst Global team building products in the UK since 2011. Back in 2011, with a great reputation in the market with an established client base, as well as, a solid team, BlueHat Group were considered a positive choice. We are lead to believe that a series of poor business decision to diversify into events and other markets, distracted Bluehat Group from their core business of team building in the UK, leading to their slow demise over the past few years. Following the news of the liquidation Catalyst Global immediately terminated their exclusive UK license with the Bluehat Group. But with change comes opportunity. "We at Catalyst Global, have now re-defined the UK territory and will be announcing our new partner in Scotland this coming week." Davenport remarked elated. Davenport also mentioned that Catalyst Global, are in discussions with a number of well established companies who are vying for the rights to sell and distribute their products in England. Davenport was eager to reassure customers in the UK that any former directors of the Bluehat Group or reincarnations of the Bluehat Group brand will not be offered a license to distribute Catalyst Global products in the UK. Applications for the Catalyst England license are in and the final decision will be made within the next 2 weeks. Davenport concluded that it will soon be business as usual for long standing customers who over the past 30 years have come to appreciate Catalyst Global’s comprehensive, well-researched and designed portfolio of team building programs for one-off team building activities or as an integrated part of their overall human capital strategy.